To begin with it has nothing to do with a ponies. 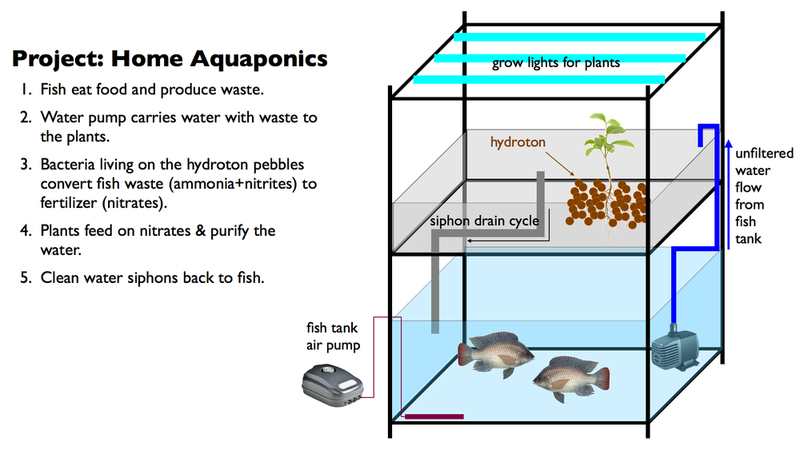 Its an integrated system, that houses fish in a holding tank and plants in separate container which are connected via pipes. The water is distributed between the two container with the aid of a pump which keeps the water circulated. The pump distributes the water upwards towards the seedlings/ plants, and through gravity the water falls back into the container of the fish. The fish waste serves as nutrients to the plants and aids in the plants growth. As the plants take up the nutrients the waste is reduced keeping the fish safe and the system balanced. Immediate water savings as the same water is contiously recycled in the system offering a sustainable solution to climate change. The balance between the plants and fish makes it vitually maintenance free when companred to traditional home gardening. Plants can be grown in small spaces as plants can be stacked up vertically. In larger systems, the fish grow large in size, providing additional food source. Sounds too good to be true…whats the catch? Although low in maintenance the initial costs of aquiring an aquaponic system is more expensive than traditional gardening as the system cant be purchased in parts. Requires electricty to run the pump, and sustained power failure (48 hours) can harm the fish. Sounds good…How do I get one? You can build a DIY project by watching the youtube videos available. We supply two complete setups depending on wants, with a 7 day turn-around-time. • Ensure that the right water conditions have been achieved. • Diffused aerators are work best at aerating large ponds. • Regularly check and test oxygen levels. • Be sure not to remove or clean out all of the good bacteria when filtering or draining. • Inspect all of the mechanical elements of your pond during Spring. • Remove debris from winter that may have fallen into the pond. • Pay attention to oxygen levels in summer! • Regularly add pond bacteria and remove dead plants in summer. • Check pH levels regularly. We delivery in the Western Cape. From date of order, it takes 8 working days to have your system delivered with 3 days for assembly and installation. Order yours today!